Division of Respiratory and Sleep Medicine, Children's Hospital at Montefiore, Albert Einstein College of Medicine, Bronx, New York. 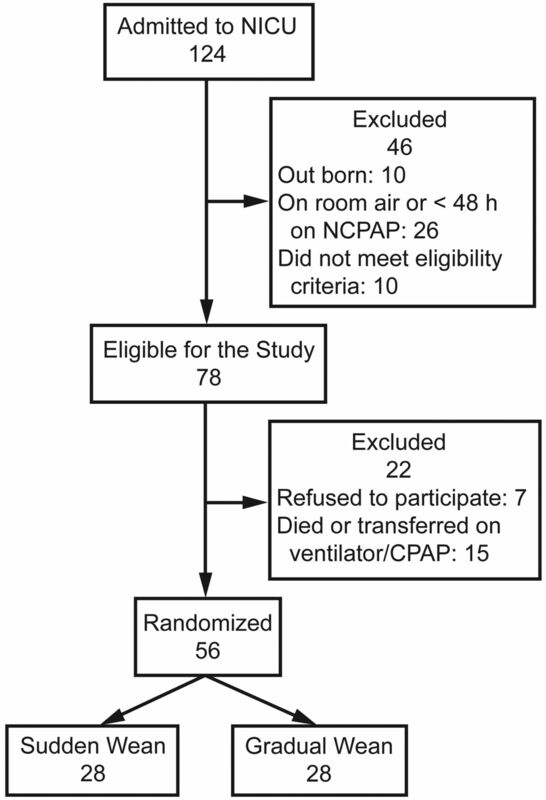 Algorithm of the study design for nasal CPAP (NCPAP) wean. NICU = neonatal ICU. 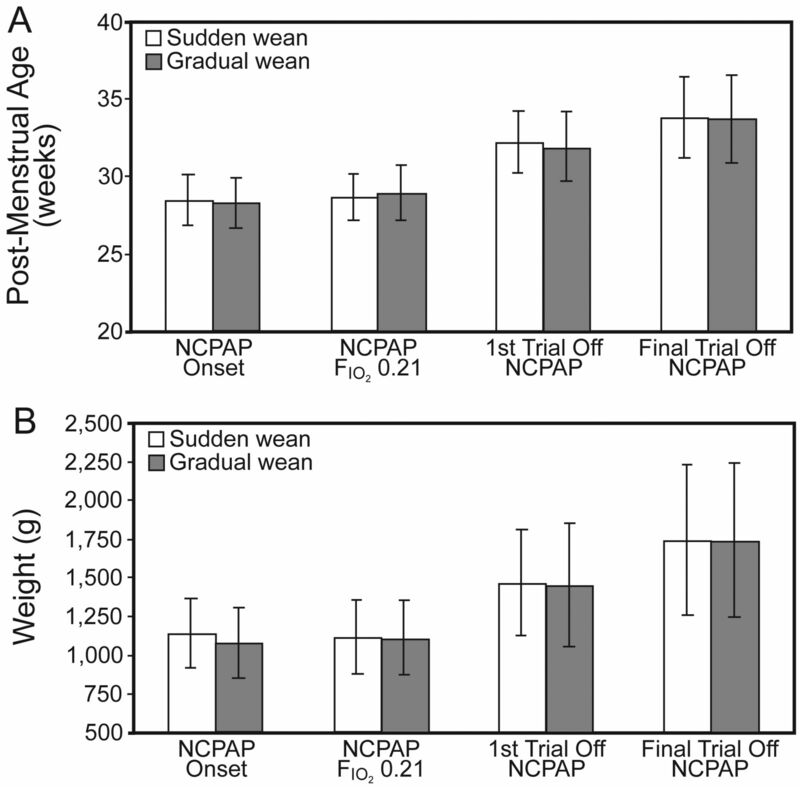 Comparison of post-menstrual age in weeks (A) and weight in grams (B) at various time points of nasal CPAP (NCPAP) wean. The data are depicted as mean ± SD. There were no differences between the post-menstrual age and weight at all 4 time points.